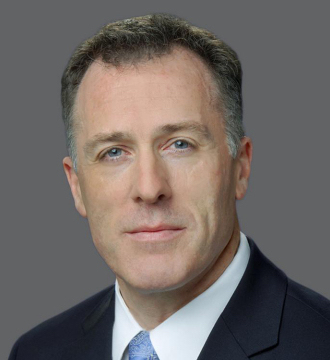 Commercial real estate services and investment company CBRE Group said Jim Groch, who is both CFO and chief investment officer, will become global group president and CIO. The company has begun a search for a new finance chief, and Groch will remain in that position until his successor takes over. BankMobile, a division of Customers Bank, appointed Bob Ramsey to fill the top finance spot. He joined Customers Bancorp in 2017 as director of strategic planning and investor relations. Puneet Mahajan was named to head finance at building contractor Suffolk. He formerly was vice president of financial planning and analysis at General Electric, where he also held other posts, including chief risk officer and CFO of GE Capital Asia. Woodward said vice chairman and CFO Robert Weber, Jr., plans to retire on Jan. 3 of next year. Jonathan Thayer, who joined the designer, manufacturer, and service provider this month as vice chairman, corporate operations, will take over the top finance spot on Oct. 1, the beginning of the company’s fiscal year 2020. Weber will become a senior consultant at that time. Louisiana-Pacific has chosen Alan Haughie to lead the finance function. He replaces Mike Kinney, who had been interim CFO at the building-solutions firm since last July, and who will return to his post as treasurer and investor relations director. Previously, Haughie headed finance at ServiceMaster Global Holdings. Outdoor advertising firm Lamar Advertising said CFO and treasurer Keith Istre announced he will retire on Dec. 31 of this year. The company has begun a search for a successor to Istre, who has been finance chief since 1989. Carousel Industries appointed Jason Cherry to the top finance spot. He joins the firm from Nielsen, where he was CFO, lead markets, as well as senior vice president, financial planning and analysis. Bulk-freight shipping and ship-repair services provider Rand Logistics has chosen J.D. Kern to lead the finance function. He most recently was finance chief at FlexiVan. John Adams has been named to head finance at Avalon Healthcare Solutions. He replaces interim CFO Kerri Fritsch, who has been promoted to chief client officer. Previously, Adams held the top finance spot at Alignment Healthcare. NCI Building Systems said finance chief Shawn Poe will retire, effective May 31. The firm will begin a search for his successor.